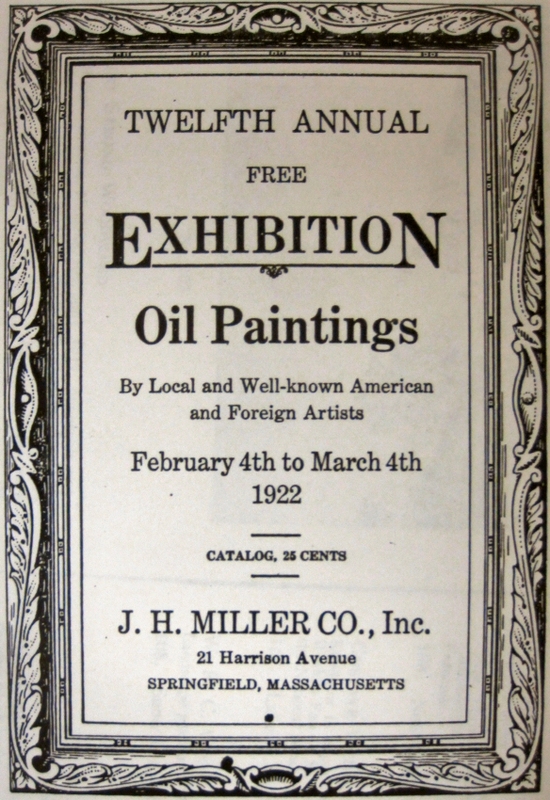 This cover page from the 1922 Exhibition held at J.H. Miller Galleries was among the letters and documents found in the Woodward folder of the Springfield Museum. Both Under the Winter Moon and Through the Hills in May were purchased by George Walter Vincent Smith for his collection. February 4th to March 4th 1922.